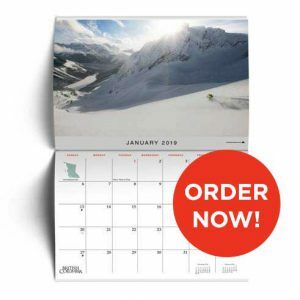 British Columbia Magazine is a quarterly magazine that comes with a free calendar with every Winter issue for orders within Canada or every Fall issue for orders outside of Canada. Please be advised that we are a quarterly magazine and each quarterly magazine issue has 2 shipment schedules – your magazine will not be shipped out immediately after ordering. As a result, new orders will take approximately 4-8 weeks from the shipment schedule’s deadline date to arrive depending on when the order was placed and consequently which shipment schedule it falls into. For addresses that are outside of Canada and the US, please leave the Province/State blank when ordering online. All prices are in Canadian dollars and taxes vary by province for subscriptions mailed within Canada. The prices below include Shipping & Handling as well as the cost of having a Print and Digital subscription. Refunds are provided based on the number of issues remaining in your subscription minus $10 for administration fees. If the number of issues remaining before the administration fee is deducted amounts to $10 or less, then there will be no refunds issued.